Squirt a very small amount of Poster Paint into a large zip-lock bag. 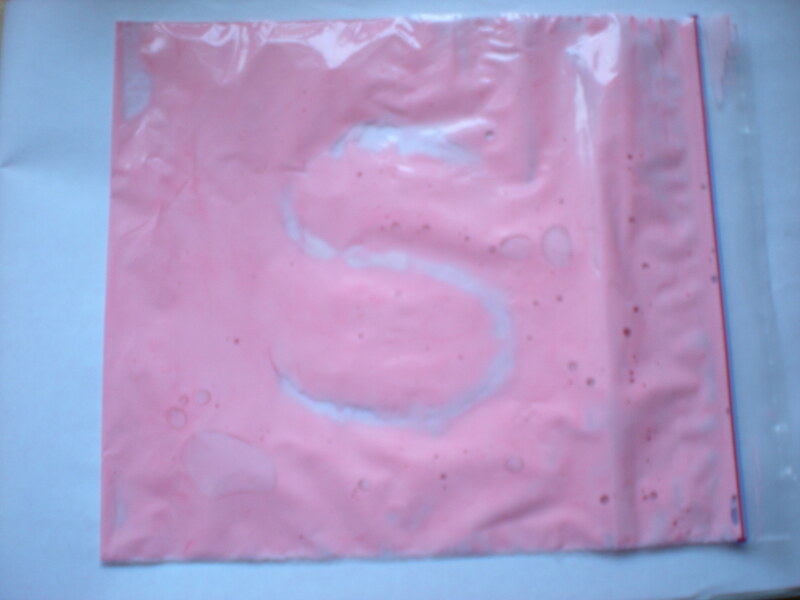 Smoosh the paint around the bag and get writing with your fingertip or a cotton bud. Rub the paint around to erase your doodles. This games keeps for a very long time if you use a good quality, sturdy bag. Pretty simple, cheap and lots of fun:). Note: Toddlers would just love to to draw and doodle with this.Tape it to a flat surface using masking tape to keep it in place. It would also be a fun way to learn to write your own name.